Early morning transfer by taxi from Ceuta to Moroccan town called Fnidek out of the spanish moroccan Border, arranged by you, and Meet our guide in Fnidek and drive for 5 hours to arrive chefchaouen in the Rif mountains, Set against a wide valley and nestled between two peaks in the stunning Rif Mountains, the isolated town of Chefchaouen is a surprising delight. Much of Chefchaouen was recreated by Andalusian refugees escaping the Reconquistia, so its striking blue and whitewashed houses, red-tiled roofs and artistic doorways give it the feel of the Spanish hills. Begin the day with a breakfast of Chaoueni specialties – the ftour beldi (country breakfast) consists of eggs, olive oil, goat’s cheese and orange juice, and is sure to ready anyone for the day ahead. Set on the famous Outa el Hammam square, the restaurant where we enjoy this breakfast is a great place to watch the town come to life. Spend the rest of the morning exploring the sights, sounds, and smells of the medina, the shops in the square selling woven goods and small sweets, and, most importantly, tasting the town’s famous goat’s cheese. Herds of goats wander the sparse hillsides that surround Chefchaouen, and their cheese is sold in great fresh rounds in the street markets. Enjoy a free afternoon to relax or explore more of the town. Within the plaza is the walled fortress of the Kasbah – you can wander through the tranquil gardens inside, visit the ethnographic museum, and soak in wonderful views from the rooftop. Alternatively, you might prefer to get out of town and enjoy a short hike in the surrounding hills. This evening you’ll get a real insight into Moroccan food with a home cooked dinner – bursting with flavour and made with love. Breakfast in the Riad. Enjoy the guided city tour of Fes. Begin with the entrance to the largest royal palace in Morocco. Continue with a panoramic view of the ancient medina. Enjoy an authentic experience at the traditional ceramic crafts village of Fes after that. Your next stop is Fes El Bali, the ancient town or Medina, which is a medieval part of Fes that has not changed for centuries. Optional lunch at a local restaurant. Visit the famous Al-Karaouine mosque, built by Fatima Al Fihria in 857. Al-Karaouine mosque became home to the University of Al-Karaouine, which is the first university in the world and the world’s foremost center of learning at the beginning of the second millennium. The university was built by Fatima Al Fihria in 859, and, since then, it has become one of the leading spiritual and educational centers of the Muslim world. In the medina, visit also a Merdersa, which is a Coranic school. Complete the city tour of Fes with the leather Souq and the oldest Leather Tannery in the world. The tannery dates back at least nine centuries. Optional : This evening you might like to indulge in a luxuriating massage and hammam in a spa. The name Essaouira means image ( likely wall ), which is appropriate since it’s such a picturesque town. This artists’ town was once home to sizeable British and Jewish populations, and its charm has seduced people like Orson Welles and Jimi Hendrix, who (according to local legend) spent much of his time here in the 1960s. On this free morning perhaps grab a traditional Moroccan breakfast and wander the streets, giving way to the cart-haulers calling ‘ballak, ballak’, pass the harbour filled with colourful boats which go out early every morning for the day’s catch, see camels and surfers sharing the beach, and perhaps explore the fish souk. Here you will choose a catch of the day and take it to a local-filled restaurant – follow their lead and hand over your market purchase for it to be grilled for the freshest of meals. Your leader will also take you to the fresh vegetables markets where you will choose your salads and veggies to accompany your seafood lunch. Enjoy delicious meal together with the rest of your group. After lunch, take a chance to search the less hectic medina, discover the Sidi Mohammed Ben Abdallah Museum and its collection of artefacts, woodwork, carpets and stringed instruments, enjoy cafe life on the main square, or sit back and watch the kitesurfers ride the crashing waves. 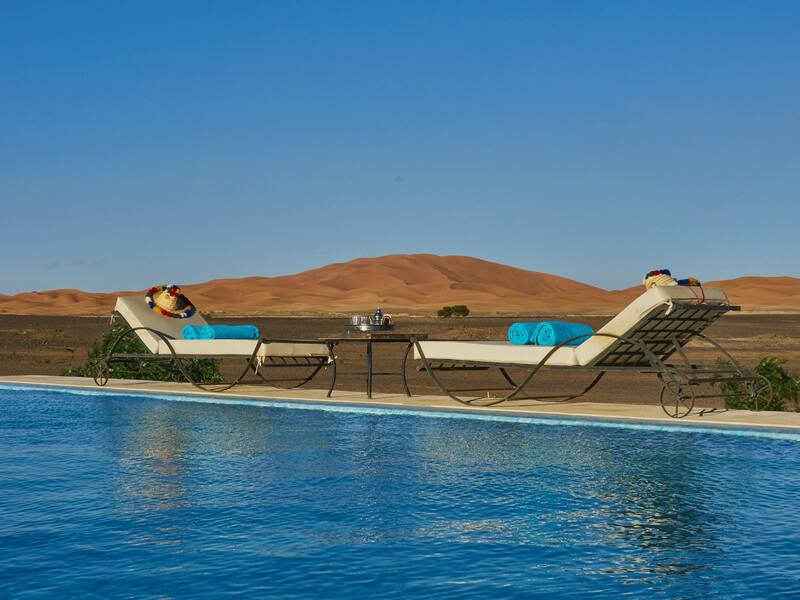 You can also discover the taste of Morocco in a cooking class, or head outside of the city to the beautiful surroundings on a day trip. we make our way to Casablanca, the largest city in Morocco, after 4 hours drive via AAsfi and El jadida, if time permits we will visit el jadida for a quick visit, after arriving to Casablanca We will visit the famous and the biggest Mosque in Africa, Hassan II, which was built between 1987 and 1993. This will be a golden opportunity to see the skilful work of Moroccan artisans, revealing the richness and beauty of their handicraft. 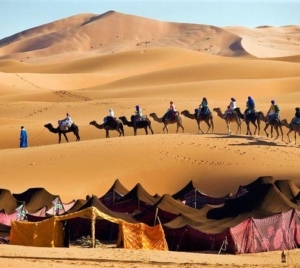 Tangiers to Marrakech Tours Desert Trips Morocco is a real approach into Moroccan culture, people, history and natural landscapes, Morocco is a land of contrasts – where Africa meets Europe and the Middle East adds its own flavour. If you´re looking for a colourful and diverse experience, this is the place. From the Beautifully perched peaks of the Rif, Chefchaouen is one of the prettiest towns in Morocco, an artistic, blue-washed village that feels like its own world, the wild markets of Marrakech to the snowy peaks of the Atlas, the silence of the Sahara and pristine beaches of the Atlantic, Morocco is simply amazing. 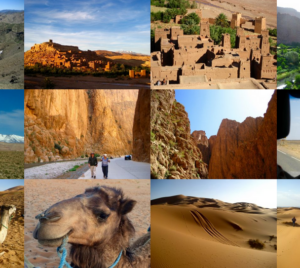 Tangiers to Marrakech Tours Desert Trips Morocco journey combines the best of everything – cities, villages, mountain, desert, music, food, shops and the coast, plus opportunities to do community services and some fun adventure activities along the way! 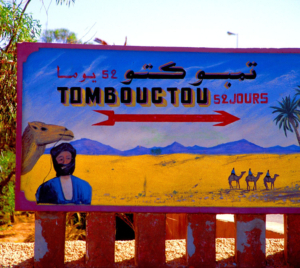 Expect plenty of interaction with the friendly Berber tribes’ people of North Africa. 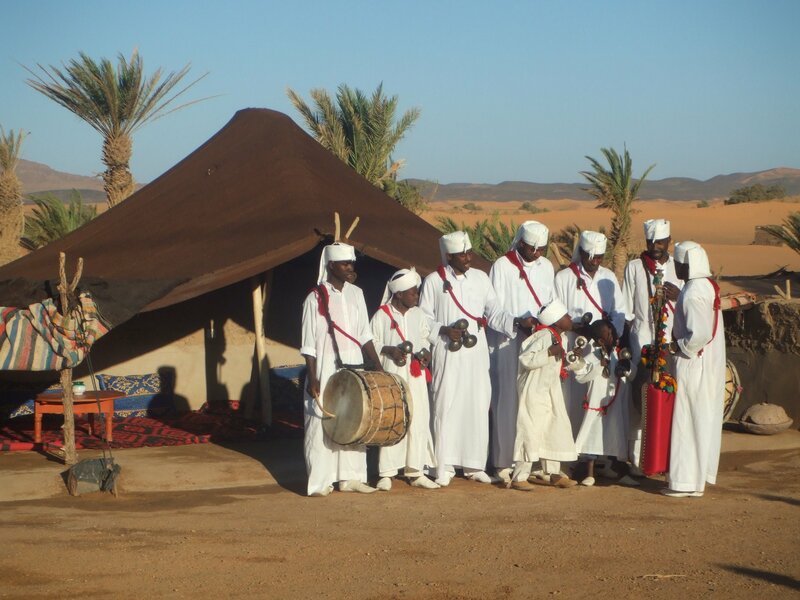 Learn their unique drumming, practice the language and taste the delicious food. Tangiers: Tanager, the city has been under the rule of many countries through the history including British rule in the 17th century. During the Franco-Spanish Protectorate period in the 20 the century, Tangiers was declared an international zone. 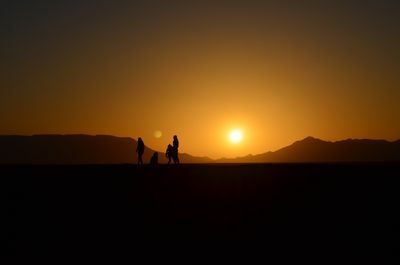 This attracted many European and American visitors to the city and has given it importance than other Moroccan cities, the city is only 15Km across the water from Europe and is very accessible by ferry. 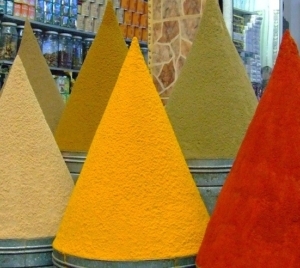 Tangiers to Marrakech Tours Desert Trips Morocco 10 day will fill your Morocco tour with a lifetime of memories and educational experiences that are second to none… from Tangier you make your way to chefchaouen in the Rif Mountains, Tour of Chefchaouen : (or Chaouen) in the Rif Mountains, founded by the Muslims and Jews who were pushed by Christians on 15th century. the town was not known until the 20th century and had remained relatively unchanged for 500 years. It is said to give the best possible view of what an Andalucian town would look like in the time of the Moors. The city becomes a tourist destination, its narrow medina streets, white and blue coloured houses and its beautiful situation in the middle of the mountains makes it unique, Visit Fes City, Morocco’s most inspiring spiritual medieval town, learn Traditional handicraft, and end up in the middle of the Sahara to enjoy the silence of the Dessert, after a Camel ride, Drive to Marrakech, Morocco’s most colorful market place, and enhance your tour with a unique visit to the Coast at Essaouira, surf and water activities… Wont you join us? 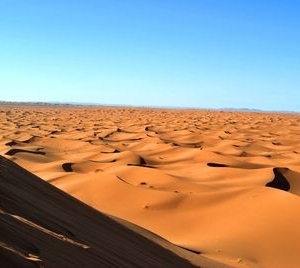 Welcome to Morocco! 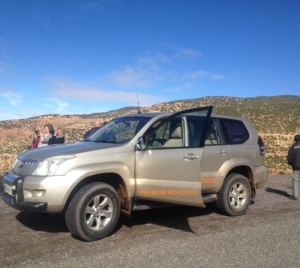 On arrival at out of Ceuta, you will be met by a Premium Morocco Tours representative and transferred to your hotel. While this is an arrival day and you may arrive at any time, please note that hotel rooms are generally only available after midday, and that there will a Welcome Meeting with your leader tonight. Transfer to a Hotel to spend the night. Note : Please be aware that some of our travelers in Ceuta and Tangiers are being approached by locals offering excursions before their Premium Tours trip commences. This has been particularly prevalent in and around the hotels used by Premium Tours. 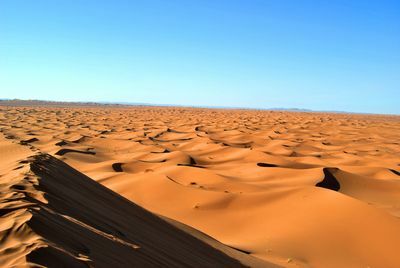 These guides are in no way connected to Premium Morocco Tours and we cannot guarantee the safety or quality standards of their tours. 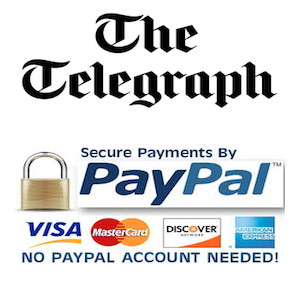 We strongly advise customers not to join any tour offered by unauthorised guides. 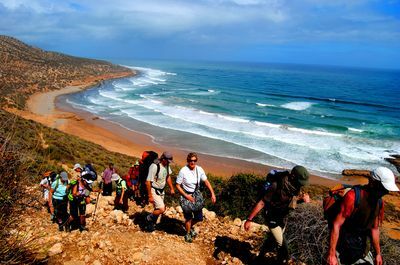 Premium Tours assesses the safety of all optional excursions offered by our tour leaders. 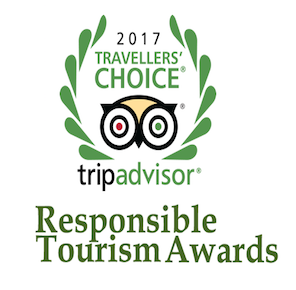 If you would like more information on the excursions available, please contact us before you travel or see the Premium Tours. Ceuta City Tour : Departing from the quayside, we can enjoy a panoramic drive towards Benzu, a typical Moroccan village. We shall stop briefly at the viewpoint of Isabel II, the ‘dead woman’ – a mountain resembling a woman’s face and body.Continuing into town, our next stop is at Plaza de Africa – a square that houses the monument dedicated to those who lost their lives in the African War. The square also faces the Cathedral, the Sanctuary of Our Lady of Africa and the Palace of the Assembly.Driving up into the hills, we can enjoy views over the Strait of Gibraltar and Ceuta. Continuing onto Monte Hacho, we shall pass through the centre of town. We then visit the San Antonio Hermitage, a small chapel popular with Ceuta’s inhabitants, as San Antonio is one of the most worshipped saints in town. Local women believe that if they ask for a husband whilst sitting at the foot of the altar and turning three times, their wish will be granted.Our final visit will be to the Marine Park, which is located in the centre of the city; the park consists of gardens, a solarium, three salt lakes and various restaurants.